Wall Financial Corp. is seeking to rezone its property at 1320 Richards St., near Drake, to allow for the construction of a 420-foot-high residential tower with commercial uses at street level. A major development proposal for a 43-storey condo tower in Yaletown will now go through a public hearing process after Vancouver city council received staff recommendations last week. Included in the project proposal is the creation of up to 81 new units of below-market housing close by. The area is currently zoned to allow towers up to 300 feet in height, roughly 30 storeys. In exchange for increased height and density, the developer is expected to contribute nearly $24 million toward a 13-storey social-housing project to be built on land owned by Wall Financial at 1107 Seymour St. at Helmken. The Seymour project would contain 81 housing units to rent below market value, and provide room for social-services organization to operate. The existing tenants on the Seymour site include Positive Living BC and AIDS Vancouver. Both would remain at the location. Kevin McNaney, the city's assistant director of planning for the downtown area, said staff are recommending rezoning be approved for both projects, calling it an "innovative" solution to the city's efforts to increase affordable housing options and eliminate homelessness. Public hearings on both proposals could take place as early as next month. 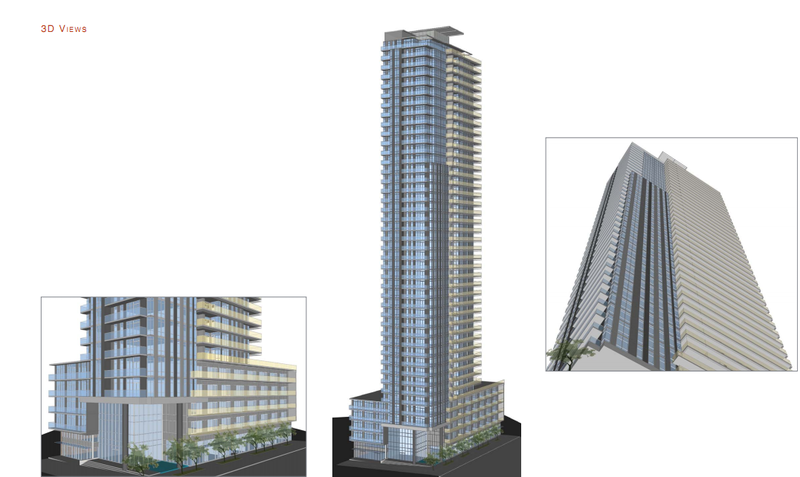 An earlier open house sparked concerns among Yaletown residents that the proposed Richards tower is too tall and does not fit in with the neighbourhood. Many people felt the proposed increase in density was significant and would result negatively on the neighbourhood, bringing more traffic, noise, pollution and congestion. Those who supported the application said it would improve the area and make it more desirable and safe.